Provide for your loved ones and protect your assets with Estate Planning! 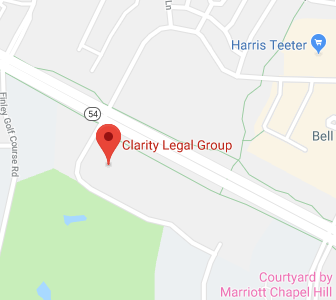 Join Clarity Legal Group for a complimentary lunch and educational seminar that will identify important Estate Planning issues many people overlook. Attorneys Mark Costley and Jonathan Williams will discuss how to avoid unnecessary costs and delays with a Living Trust, how to protect your children’s inheritance, how to provide for family members with special needs, how recent changes in the tax law will impact your estate plan, and much more! Lunch will be served at the University Club, located on the 17th Floor of University Tower in Durham.